Compared are the cut episodes on the US DVD by Lions Gate / FOX and the uncut episodes on the German DVD by Warner Home Video. 4 cuts = 1 minute and 50 seconds. 4 alternate scenes = 76 seconds. 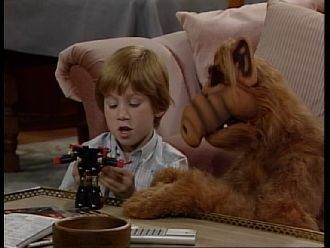 There is no need to make many words about the hilarious TV show "ALF". 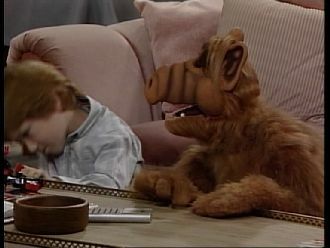 You doesn't know it has at least heard of it even though it has been quite some time since something new from the ALF universe was released. 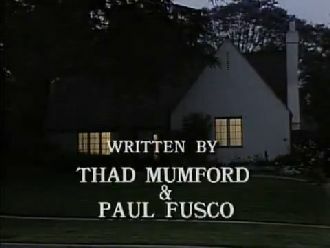 Anyway, the show consists of 4 seasons and aired in the late 80s and early 90s. 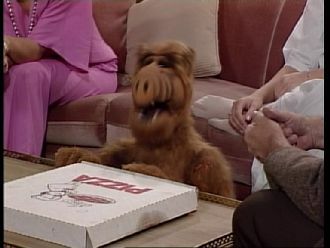 Furthermore, there are two animated series ("ALF: The Animated Series" & ALF Tales) and a motion picture from the mid 90s. As to the US Versions, a few minutes of each episode were cut for syndication in order to show more commercials. Unfortunately, these syndication versions were also released on DVD. Understandably, the fans were disappointed that the DVDs do not contain the uncut episodes. Whether or not the uncut episodes will be released one day (perhaps on Blu-ray?) is the million dollar question. Right at the beginning, the opening is missing resp. it has been removed to a subsequent point. 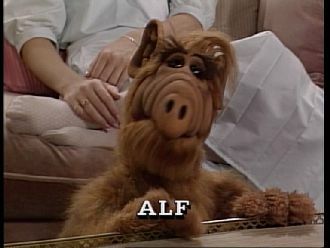 Alf (voice over): (It started out like any other night!) Meatloaf! After that a shot of Willie putting the remaining meatloaf on the tray. 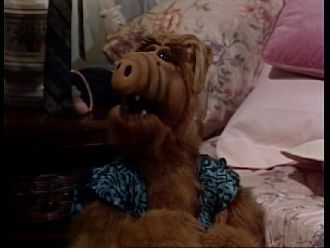 ALF keeps commenting: The third time that week! 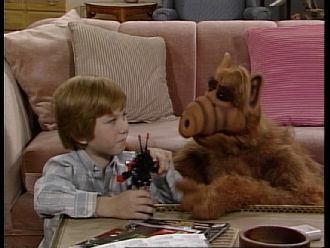 The camera pans to ALF and Brian at the table. Brian is playing with roboter toy. 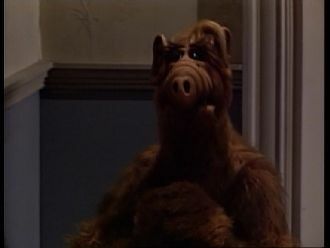 Alf (voice over): But I digress! Here's what happened! 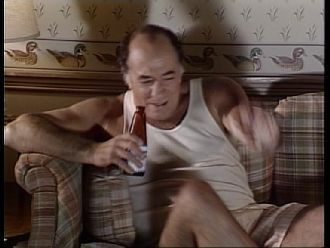 I was being my usual charming self... spending some quality time with the Tanner lad! Brian: See, when you bend Missile Man's head this way... he becomes a communications satellite! Brian removes the roboter's head. 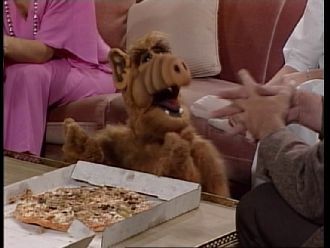 Alf: Yeah! What does Missile Man become when you bend him like this? ALF fidgets with the roboter and accidentally tears off the leg. 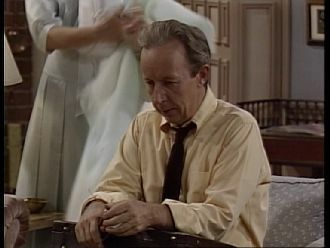 Different shot of Brian getting up from the couch after Kate told him to go to bed and Willie found the yellow ribbon underneath the newspaper. 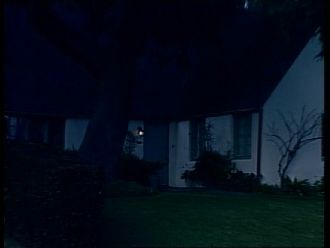 Now the opening in the US Version. 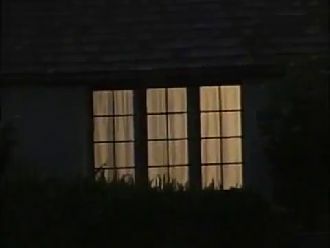 As usual, two smaller scenes (ALF opens the door and enters plus Kate doesn't let him take the pie in the fridge) are missing. Willie: Maybe we can get Mrs. Ochmonek to sit! Katherine: Good idea! I'll call her! 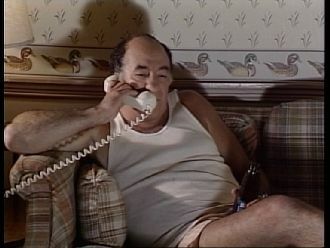 Kate goes to the phone, Willie takes a seat next to ALF. Alf: Nice to know I'm trusted around here! 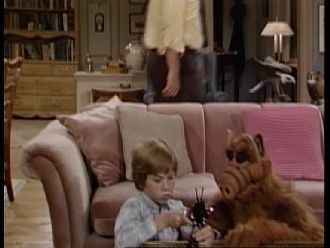 Alf: Hey, William! I was kidding (laughs)! I mean, don't you get it? Do you think I'd actually go near the liquor cabinet, or even take my eyes off the kid for a second? Come on, get with it! These are the jokes, man! Willie: The jokes... the jokes! Willie starts to laugh and says: I'm sorry! I guess I misunderstood! I guess if we knew you were kidding. 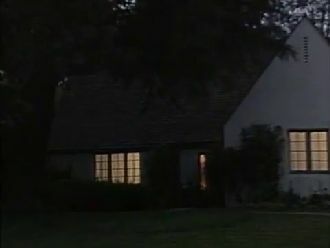 The US Version contains an exterior shot of the Tanner house instead plus another shot of Kate hanging up the phone after talking to her neigbor Raquel. 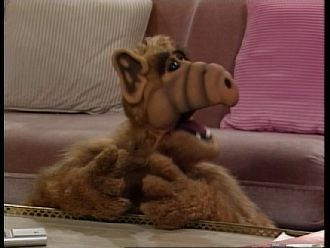 ALF silently opens the door to the living room. Raquel is sitting there, watching the Hitchcock classic "Psycho". Extended shot of ALF running forward. 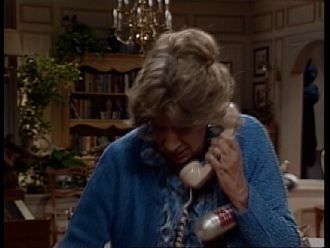 Raquel hastily punches in the phone number of her husband Trevor. Then a cut to Trevor in front of the TV. The phone rings, he answers it. Raquel: Trevor! Get over here quick! 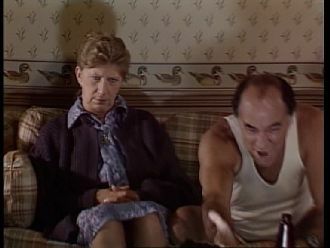 Trevor: Forget about it, Raquel! I'm not putting my pants back on! 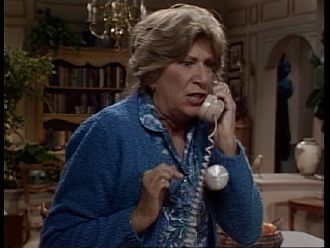 Raquel: But I think I saw somebody in the bushes! Trevor: Maybe it was another pizza! 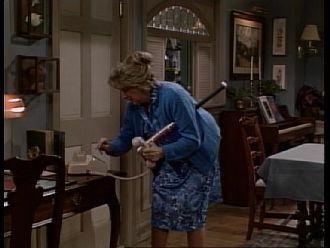 Raquel is slightly upset when she hangs up, then she dials 911. 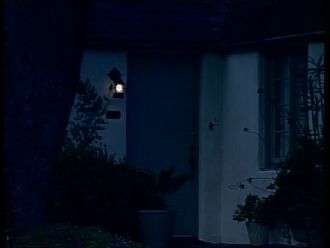 Extended shot of Willie, Kate and Lynn running out of the master bedroom in the US Version. 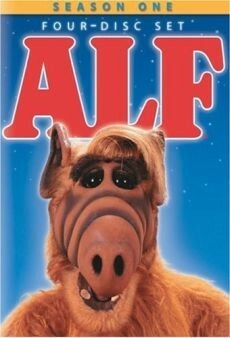 The German Version on the other hand contain a last of ALF who also says: Come on! Lighten up! 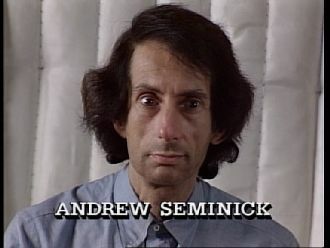 While the US Version continues with the end credits, the German Version contains footage of the thief "Andrew Seminick". 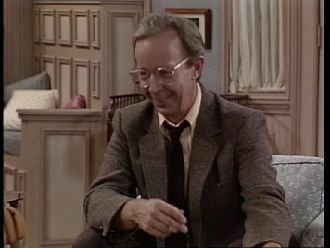 He is the one who broke into the Tanner house and had an encounter with ALF in the process. 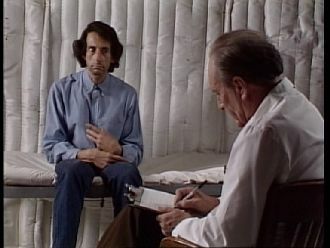 Now, he is in a rubber room with a shrink. 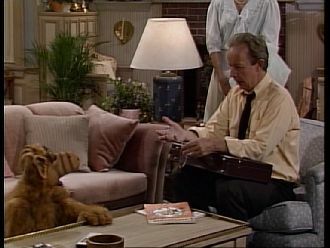 The scene is accompanied by a comment of ALF from the off: On May 18th, Andrew Seminick was convicted in municipal court of breaking and entering with intent to commit burglary! He waived his rights to a jury trial in lieu of psychiatric help! Then a cut to Raquel sitting next to Trevor in front of the TV. 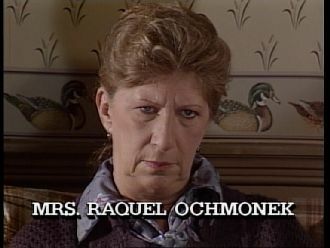 This scene is also accompanied by a comment of ALF from the off: Mrs. Raquel Ochmonek wasn't as fortunate! She was sentenced to life with Trevor! All of a sudden, Trevor starts complaining about the football game while Raquel remains silent. She is bored and keeps starring at the TV. 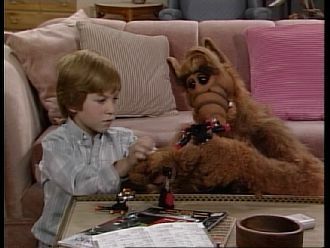 Then a cut to ALF: As for the olf ALFer... 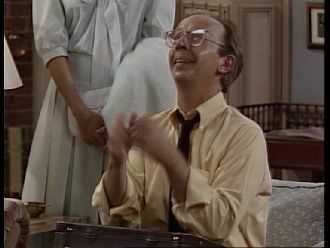 I remain my usual humble self unaffected by the events of one very strange evening and my heroic participation in them! 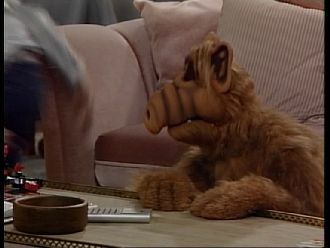 Willie and the others appear and sit next to ALF. Willie puts a pizza in front of him. 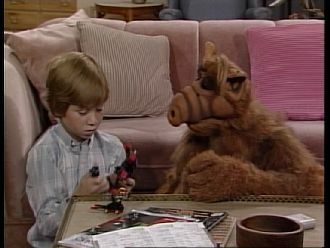 Alf: So anyway, there I was, looking Mr. Death in the eye! Was I scared? Ha! I said to him, "Hey, pal, you don't know who you're dealing with"! 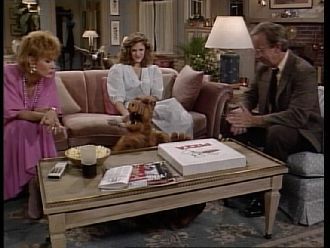 Willie opens the pizza box. 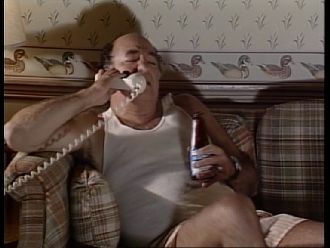 Alf: Sausage, Willie, I said sausage! Ugh, I'm telling you!